Once you go Mac….you’ll never go back…. 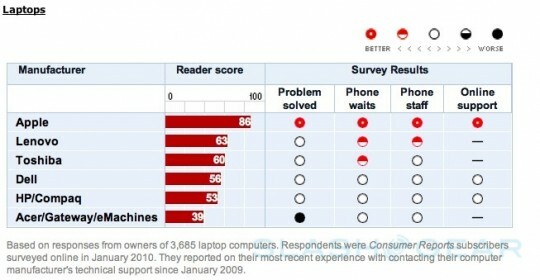 According to Consumer Reports, Apple is rated number one in customer care and tech support. The Mac is ready to run right out of the box and the Applications are Apple made so they work seamlessly with the Mac. No more compatibility issues just incredible applications like iLife which includes iMovie, Garageband, iPhoto, and iWeb. 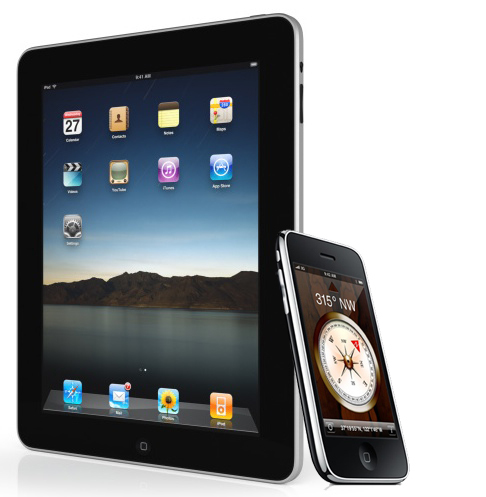 There are several other apps for purchase that also work seamlessly with a Mac, like iWorks, Final Cut and many more. The beauty of a Mac is unparalleled. Apple goes out of it’s way to make the interface, the screen, the casing, the packaging, the peripherals, and add-on devices beautiful. Using a Mac is an aesthetic experience. All that being said, I really just love how it all works together so well. In fact, there are many PCs in my office who will come down and ask me to help them with a glitch in their iPhone or iPod touch and all I have to do is plug it in and voilà it is fixed. As much as I would like to take credit for this obvious miracle, it’s the Mac. I also love to sync my iPod touch, my iPad, and my iPhone. No worries, like so many of my colleagues. I just plug it in and all is well and beautiful. I get this question a lot: Is it true that Macs do not get viruses like PCs? Ummmm, yeah it is true. In fact, the only thing I have gotten close to a virus on my Mac was on the PC side. With a little help from our tech support all was well within a matter of minutes. Let’s say that all the reasons above were not enough to convince you to migrate over to the Mac. The bottom line is a Mac is a PC. Every Mac comes preloaded with Bootcamp, a powerful that allows you to partition your hard drive to be able to use other operating systems including any Windows operating system. I am currently running Windows XP on my Mac. 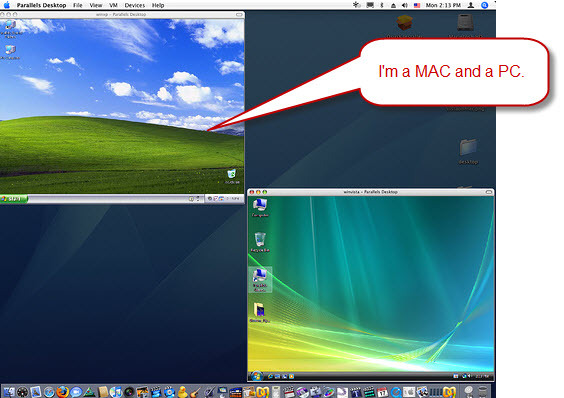 Also, with programs like Parallels and VM ware Fusion, you can run them both at the same time. Using the preloaded application Spaces I can toggle back and forth between my MAC and PC with just a click of a button. And, I can share files, network connections, and devices. If you have recently Gone Mac, please join us for Going Mac? Considering making the transition from Windows to Mac? This is the workshop for you. Come see the exciting features available only in the Mac operating system and how you can keep all your old favorites from Windows by running a parallel environment.